Kotka is a city and municipality of Finland.Kotka is located on the coast of the Gulf of Finland at the mouth of Kymi River and it is part of the Kymenlaakso region in southern Finland. 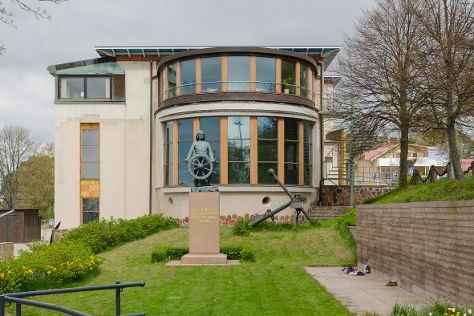 On the 25th (Sat), stroll through Beach Mansikkalahti, then wander the streets of Linden Esplanade, and then contemplate the long history of Langinkoski Imperial Fishing Lodge Museum. To see traveler tips, reviews, more things to do, and more tourist information, read our Kotka trip maker website . Seattle, USA to Kotka is an approximately 17.5-hour flight. Due to the time zone difference, you'll lose 10 hours traveling from Seattle to Kotka. In May, Kotka is a bit cooler than Seattle - with highs of 60°F and lows of 42°F. Wrap up your sightseeing on the 25th (Sat) early enough to drive to Turku. On the 26th (Sun), make a trip to Naantali Old Town, then step into the grandiose world of Turku Castle, then explore the world behind art at Ett Hem Museum, and finally take in the spiritual surroundings of Turku Cathedral. To see photos, maps, more things to do, and tourist information, read our Turku trip planner . Getting from Kotka to Turku by car takes about 3 hours. Other options: do a combination of bus and train; or take a bus. In May, plan for daily highs up to 59°F, and evening lows to 40°F. Wrap up your sightseeing on the 26th (Sun) early enough to travel to Mariehamn. Mariehamn is the capital of Åland, an autonomous territory under Finnish sovereignty. Kick off your visit on the 27th (Mon): see the interesting displays at Museumship Pommern, brush up on your military savvy at Aland Maritime Museum, contemplate the long history of The Maritime Quarter, then examine the collection at Kastelholm Castle, and finally explore the historical opulence of Jan Karlsgården Outdoor museum Jan Karlsgården. To find reviews, where to stay, more things to do, and more tourist information, you can read our Mariehamn online day trip planner . You can fly from Turku to Mariehamn in 2 hours. Another option is to ride a ferry. In May in Mariehamn, expect temperatures between 55°F during the day and 40°F at night. Finish up your sightseeing early on the 27th (Mon) so you can travel to Helsinki. Start off your visit on the 28th (Tue): get a new perspective on nature at Natural History Museum (Luonnontieteellinen Museo), take in the spiritual surroundings of Rock Church, steep yourself in history at Seurasaari Island and Open-Air Museum, then contemplate the long history of Sea Fortress Suomenlinna, and finally take in the architecture and atmosphere at Helsinki Cathedral. On your second day here, explore the world behind art at Kansallisgalleria, look for gifts at Okra, wander the streets of Ullanlinna, then take a stroll through Katajanokka, and finally take in the spiritual surroundings of Uspenskin Cathedral (Uspenskin Katedraali). For reviews, maps, and tourist information, you can read our Helsinki driving holiday planner. Getting from Mariehamn to Helsinki by flight takes about 3 hours. Other options: do a combination of flight and train; or do a combination of flight and bus. In May in Helsinki, expect temperatures between 60°F during the day and 43°F at night. Finish your sightseeing early on the 29th (Wed) so you can travel back home.